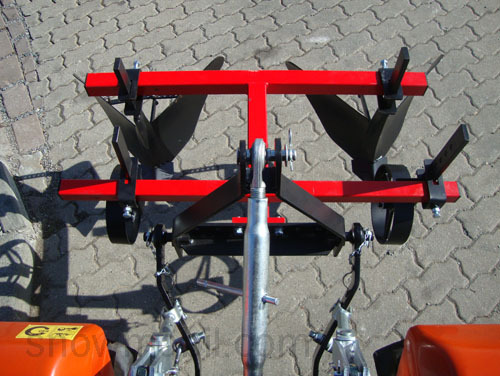 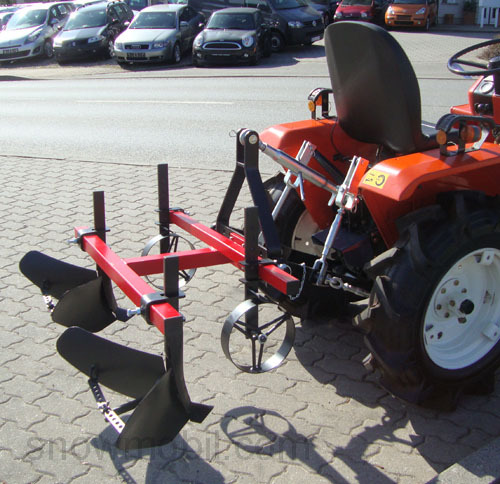 This Ridger fits on tractors from 10PS with a rear three-point linkage KAT1. 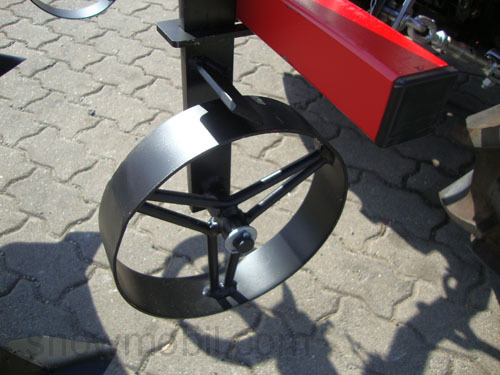 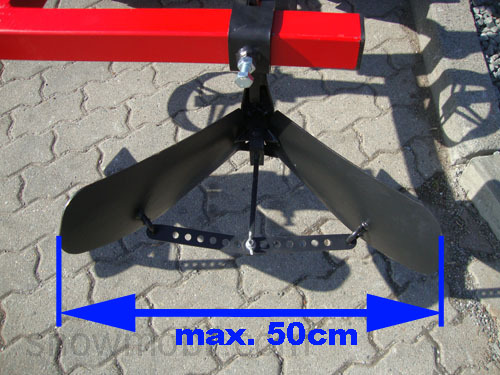 It has vertically adjustable support wheels. 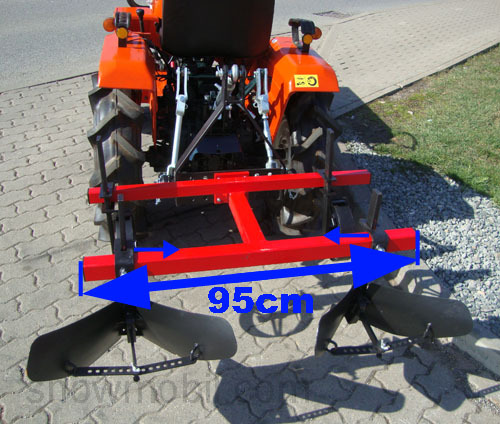 The row spacing and the width of the ridging bodies is adjustable. 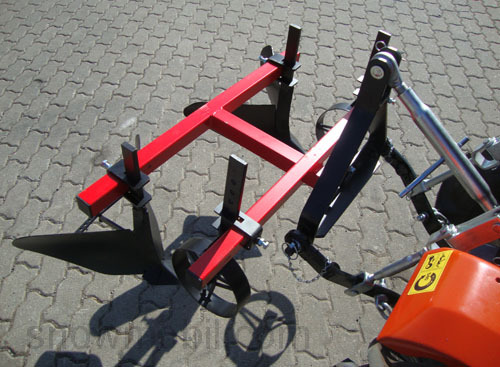 The Ridger is built very strong - the material has not been saved. 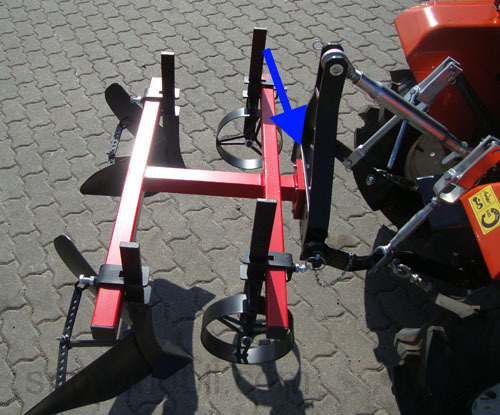 The linkage triangle is included in the standard specification.